A. Gay Kingman and Richie Richards share a laugh on set. Produced by Native Sun News publisher Tim Giago and filmed at Prairie Edge in downtown Rapid City, Oyate Today is a 30-minute interview program on the history and living culture of indigenous people in the Northern Plains. Richie Richards has hosted the program since October 2018. Born in Minneapolis, Richards grew up in Rosebud, Sioux Falls, and Rapid City and went to Marty Indian School. After attending Contra College and the University of California-Berkeley for Native American Studies, he was an educator at the Phoebe Hurst Museum of Anthropology. Since returning to Rapid City in 2012, Richards has been a correspondent for Native Sun News on race relations and community building. Katy Beem:What’s the editorial process for figuring out stories for Native Sun News? Richie Richards: “Tim leaves a lot of creative license up to us. I was working directly with people who generally haven’t been reached out to, not only by the newspaper, but by the Native American community in general – the sheriff’s office, the police department, people in areas who can improve conditions not only of Native Americans in Rapid City but the non-Native population as well. It’s really interesting to get that inside perspective. KB:How did you move into hosting Oyate Today? KB:What are your most memorable moments on the show? KB:I love following your Facebook page because it’s hilarious. You find humor in everyday situations: eating in a restaurant, going to Walmart, black olives on Indian tacos is someone trying to be fancy. You poke fun at yourself, too. What role does humor play in your life? 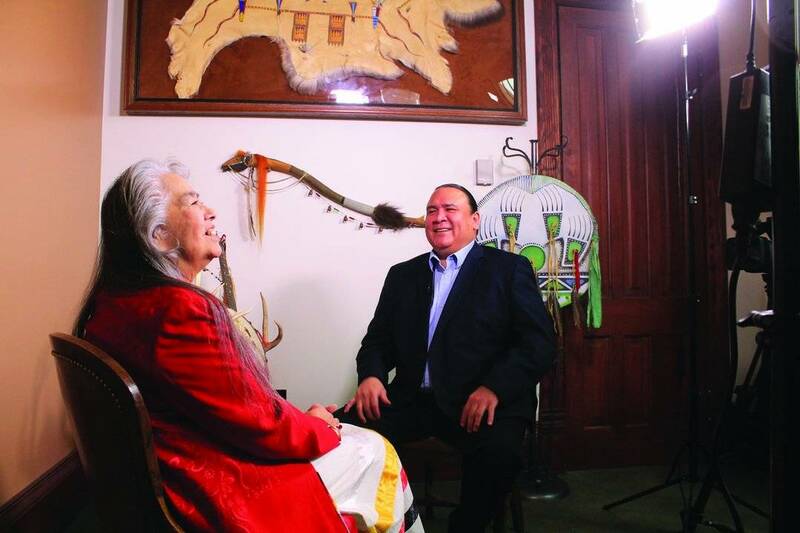 Oyate Today premieres Sunday, February 17, at Noon (11am MT) on SDPB1.